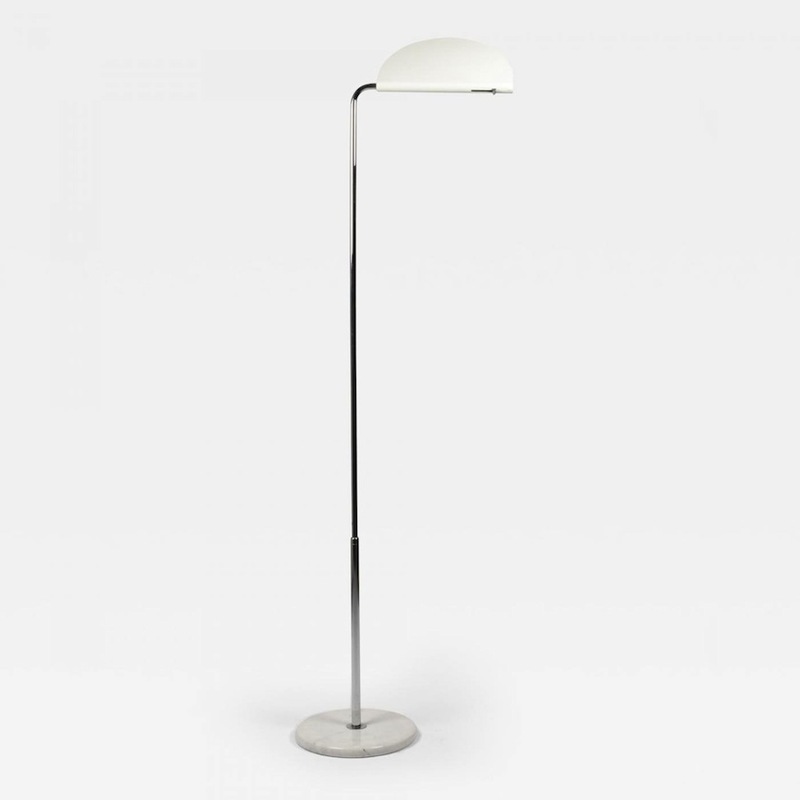 The Mezzaluna Floor Lamp (Half Moon) was designed in 1975 by Bruno Gecchelin for Skipper. It has a white metal light fixture and a Carrara marble base with a built in dimmer. The height is adjustable.